Eurodollar is still moving inside a narrow consolidation channel. 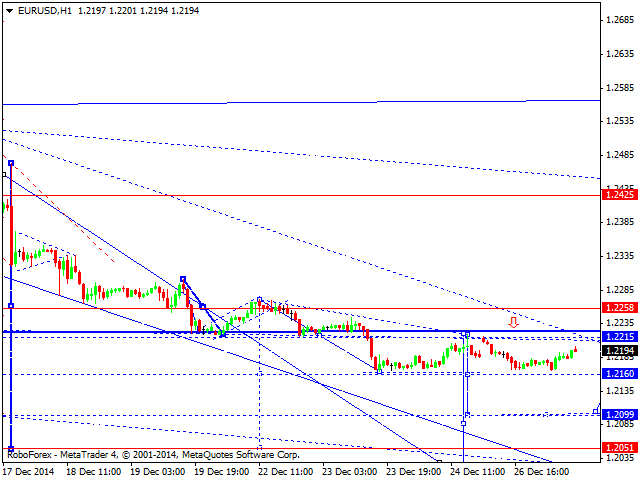 We think, today the price may continue falling to reach level of 1.2100. Later, in our opinion, the market may form another consolidation range and then continue falling towards level of 1.2000. Pound continues forming an ascending structure. 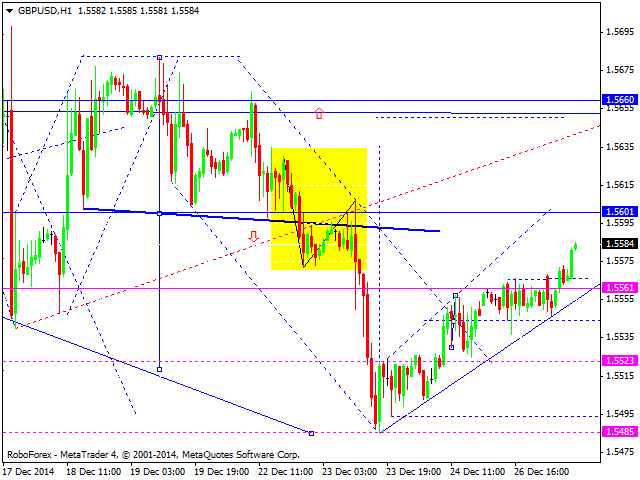 We think, today the price may reach level of 1.5600 and then form a correction towards level of 1.5525. After the pair completes this pattern, we’ll estimate if such structure may form another ascending wave. Franc is still consolidating near its high. We think, today the price may grow and reach level of 0.9930. Later, in our opinion, the market may form a consolidation range and then grow towards level of 1.0000. Yen is still forming a consolidation channel near the top. We think, today the price may grow to reach level of 121.30. Later, in our opinion, the market may form another consolidation range and continue moving upwards with the target at level of 121.70. Australian Dollar is also consolidating. 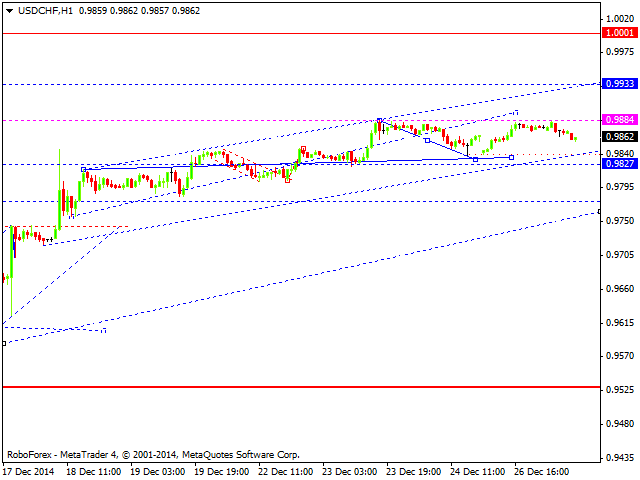 We think, today the price may fall to reach level of 0.8050. Later, in our opinion, the market may form another consolidation channel and then continue moving downwards to reach level of 0.8000. 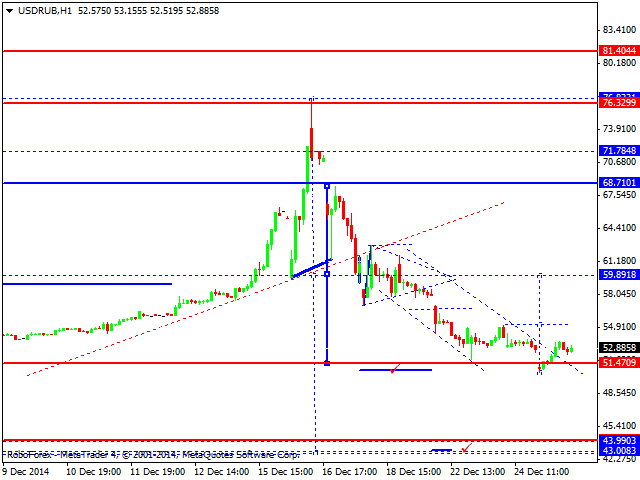 Ruble is trying to start a correction with the target at level of 60.00. Possibly, the regulator may put the pressure on the pair and the market may continue falling towards level of 45.00 without any corrections. 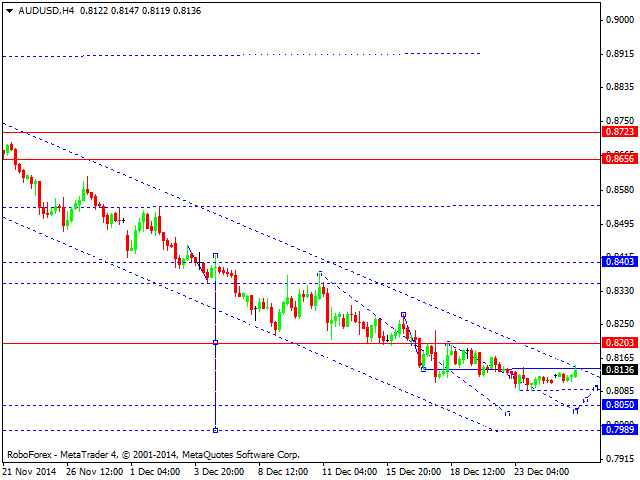 However, after reaching this level, the price is expected to start a serious correction to return to level of 60.00. 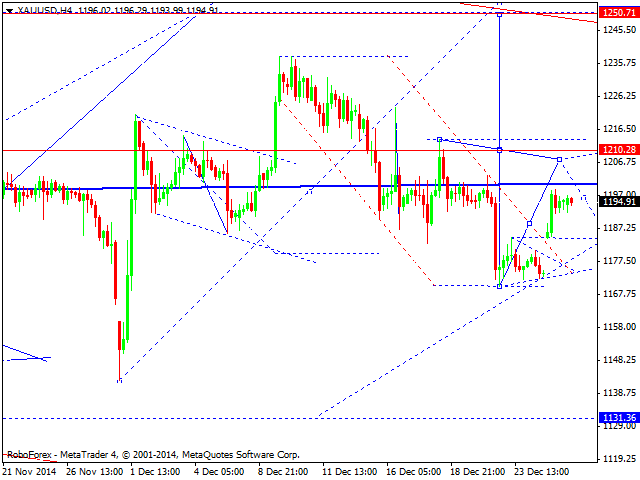 Gold is still forming an ascending structure towards level of 1210. 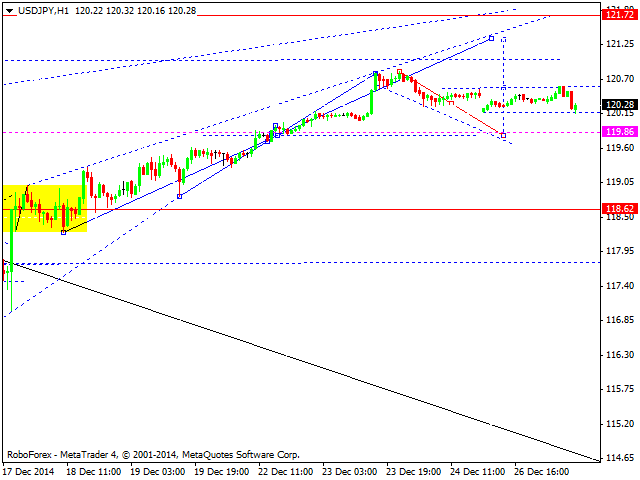 After reaching it, the price may fall towards level of 1200 and then resume moving upwards. The market is forming the fifth wave with the target at level of 1250.